A free, confidential county-wide referral service is one step closer to reality thanks to support from the Lake County Board. Residents will simply be able to dial 2-1-1 for personal assistance (much like they dial 9-1-1 for emergency assistance). The United Way of Lake County is developing the new 2-1-1 service that will connect residents to various resources from shelter and housing options, supplemental food programs, services for veterans, health care, and many other critical services to help improve and save lives. The Board allocated $80,000 in video gaming revenue (which is generated from video gaming in the unincorporated areas) to the United Way of Lake County. The agency expects 2-1-1 to launch in spring of 2019. Watch this video as I explain at a recent County Board meeting what this service will do for residents in Lake County. Lake County has launched a new Open Data Hub that makes Lake County government data easily accessible – and searchable — to a broad audience, including residents and taxpayers, enhancing transparency and accountability. Additionally, government employees can now access other departments’ data to help enhance services and drive efficiency. The Open Data Hub centralizes a wide range of data in one place from property taxes and health and recreation to transportation and government contracts and agreements. This new tool allows users to search and discover PDF maps, web mapping applications and other datasets all free of charge. The existing datasets on the Hub will consistently be updated, and Lake County is exploring adding new information, including financial data. The proposed Lake County 2019 budget is balanced and the operating budget reflects a slight decrease from last year. The Lake County Board will hold budget hearings on the proposed budget later this month and will vote on it at its November meeting. In an effort to provide some relief to taxpayers, the County Board directed that the budget be developed keeping the County’s property tax levy flat (or not taking the allowable levy growth based on the Consumer Price Index). This keeps $3.4 million in taxpayers’ pockets. The only increase in property tax revenue will come from growth on new property. (As a reminder, Lake County’s portion of your property tax bill is about 7%). The proposed FY19 operating budget — which funds the County’s day-to-day operations — is $3.3 million less than last year (or 1%) as a result of efficiencies from shared services with other governments, technology enhancements, and operational improvements. The budget can be viewed at lakecountyil.gov/budget. It’s not too late to register to vote in the upcoming election! Grace voter registration is available at the Lake County Clerk’s Office in Waukegan until Oct. 19, during early voting from Oct. 22 to Nov. 5, and on Election Day. Early voting begins Oct. 22 at 16 sites throughout Lake County. 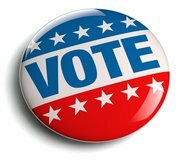 View the early voting locations. Following an analysis of Lake County’s P-card program, an independent firm concluded that there is not widespread misuse of Lake County P-Cards. However, the firm recommended Lake County update its policy, processes and procedures. 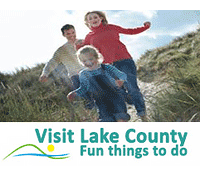 Lake County has approximately 260 County-issued P-Cards used by employees, some board members and elected officials for County business related expenses. The firm analyzed a sample of Lake County P-card transactions representing 52% of total spending for 12 months and reviewed best practices from across the country. While the County has a policy that specifically defines appropriate expenses, the study’s findings show there are gaps that can be improved with stronger internal controls. Recommendations to be immediately implemented include: updating current practices and refining procedures to better document approvals and handle exceptions (including personal charges and late submissions); implementing regular departmental reviews of active cards and credit limits, as well as additional training. The Board will also consider policy changes and updates to its rules that govern board members’ P-card use and consider measures to improve transparency, including posting P-card transactions to the County website. P-Cards are a valuable procurement and payment tool used by governments, as well as businesses, because it reduces length of time to make a purchase or pay vendor, can decrease transaction costs and earn revenue through rebates. The Committee will review and discuss the action plan for implementing the recommendations at its next meeting. Watch this video with Finance & Administration Chair, Mike Rummel. In an effort to strengthen its already strong policies as it relates to purchasing goods and services, the Lake County Board is considering changes that will require vendors submitting proposals for more than $30,000 to disclose familial relationships with County employees. The Board already approved internal policy changes that require employees to annually review ethics and purchasing rules, and attest that they understand and agree to adhere to them. The Board recently discussed a proposal that would require vendors submitting proposals to submit a “Vendor Disclosure Statement” disclosing the names of each owner/principal/officer of the company, along with those individuals’ immediate family members who are employed by Lake County. Purchasing officers will compare the statement with the staff members serving on the evaluation panel and verify that those employees are eligible to serve. The Board wants to discuss further how to broaden this and make this information more transparent. The Finance Committee will take up the item next month. The Lake County Board adopted Ethics Ordinance clearly outlines the ethical and legal standards that county officers and employees must follow while conducting county business. It also puts a process in place to reviewing complaints and gives the county administrator authority to administer disciplinary action up to and including termination. With more than 200 lakes and rivers in the county, it’s important to keep our water safe! Lake County Public Works has been working hard to increase their sustainability efforts to their water operations, from taking phosphorous and nutrients out of wastewater that can be harmful to aquatic life, to performing energy audits performed in coordination with the Illinois EPA. Watch Video. Help prevent substance abuse and theft by safely disposing your home of potentially dangerous, expired, unused, and unwanted prescription drugs. The Lake County Sheriff's Office is partnering with the DEA for Prescription Drug Take Back Day from 10 a.m. to 2 p.m. Oct. 27. The service is free and anonymous. View the drop-off locations. The public entrance of the Lake County Jail has moved from 20 South County Street, to the lobby of the Community Based Corrections Center (CBCC) at 15 South Martin Luther King Jr. Ave, Waukegan. The relocation is due to the ongoing renovations at the Lake County Jail. Inmates being released from custody will be released at the CBCC Lobby. Any visitors coming to the Lake County Jail should also utilize the CBCC Lobby. Lake County Workforce Development is joining the College of Lake County to Celebrate Lake County Manufacturing, and you’re invited to join a variety of events. Learn about careers in engineering and computer science, meet representatives from manufacturers here in Lake County who will discuss jobs in these growing industries, and meet a panel of employers who will discuss the manufacturing field. View the schedule.